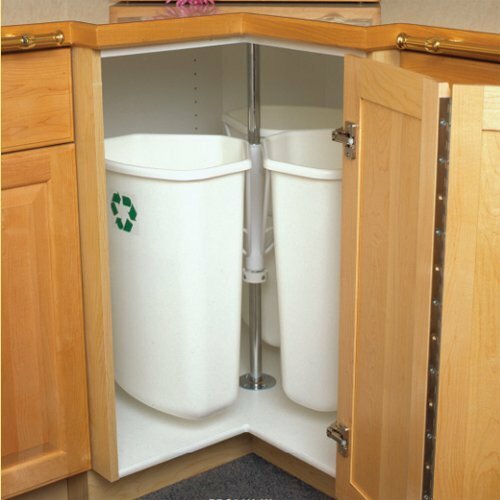 This innovative unit features 3 removable 32 quart bins that rotate on a 1" diameter post. 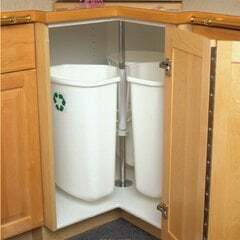 It is the perfect solution for your 36" base corner cabinet. I have separated trash for many years, but had limited space for all 3 types. Now that I have the center, it is easy and NO trash is exposed. This is the best use I have ever made of the lower corner cabinet in my kitchen.I store trash, recyclables, and dog food.And - it was delivered the day after I placed my order. quick and just what I was looking for. It makes recycle and trash so easy.